Communication is an essential part of maintaining a healthy relationship – it’s how we share our thoughts, ideas, feelings, and desires with our partners. But, in a relationship where one partner is living with a chronic illness like rheumatoid arthritis, communication is likely even more important. 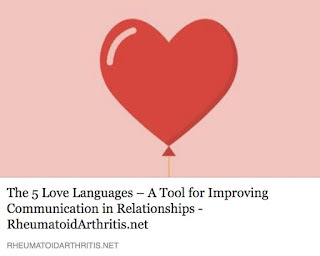 Read more about my experiences with "The 5 Love Languages" on RheumatoidArthritis.net!